Kirby Thomas brings with her over 11 years of experience in sales to the Folsom branch of Stewart Title. 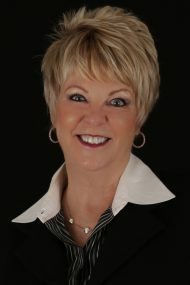 Her organization, drive, and ability to connect with real estate professionals have been the backbone of her success during her tenure at Stewart Title. Kirby is a fixture in the city of Folsom, given the many committees and organizations on which she serves. Her focus and follow up are second to none as she has been an integral part of Stewart’s success in that area. Kirby’s customers value her as she is reliable, professional, and consistent, all qualities on which you can trust. With a background in sales, marketing, and property management, Kirby continues to excel in her field and be a stalwart in the real estate community. While she prides herself on the close relationships she’s generated over the years, it is her loyalty to her company and to her clients that separate Kirby from the rest.